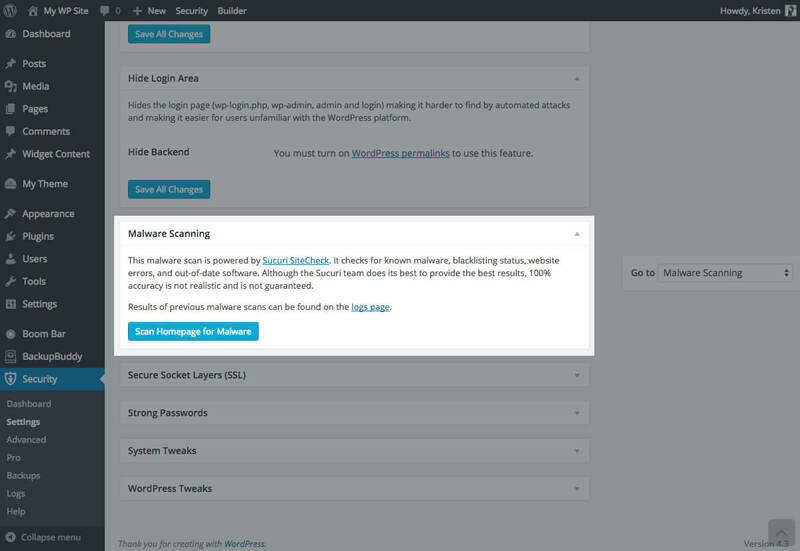 The iThemes Security plugin offers a free WordPress malware scan powered by Sucuri Sitecheck. With just one click in the plugin, you can scan your site for WordPress malware and see the results of the scan. iThemes Security utilizes Sucuri Sitecheck’s 10-point check to scan for known malware. This WordPress security scan also checks blacklist status, website errors and out-of-date software. Once the scan runs, you’ll immediately be able to see the results of your malware scan. 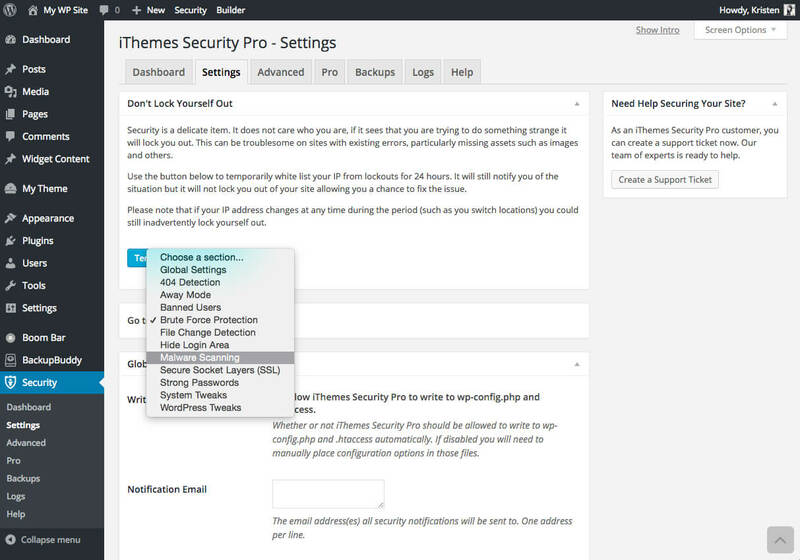 To run a malware scan on your WordPress site, you’ll need to download and install the iThemes Security plugin. Once you’ve installed an activated the plugin, navigate to the Malware Scanning section on the Settings tab. In the Go To section, you can select Malware Scanning in the drop-down list. In the Malware Scanning section, click the Scan Homepage for Malware button. After a few seconds, the results of your malware scan will show. You can click the Show Details link next to the Blacklist result to reveal more details of your website blacklist check. 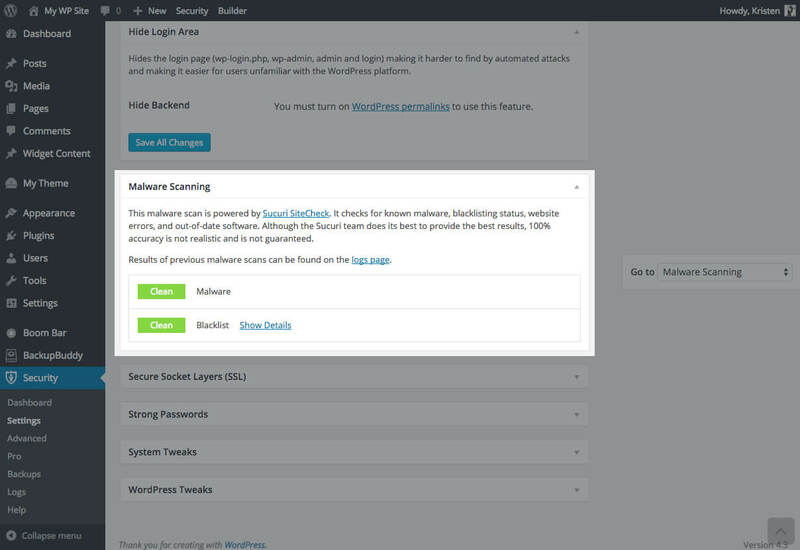 After you navigate away from this page, you can find the results of your malware scan on the logs tab within the iThemes Security dashboard. With iThemes Security Pro, you can enable daily malware scanning and receive an email if a problem is found. 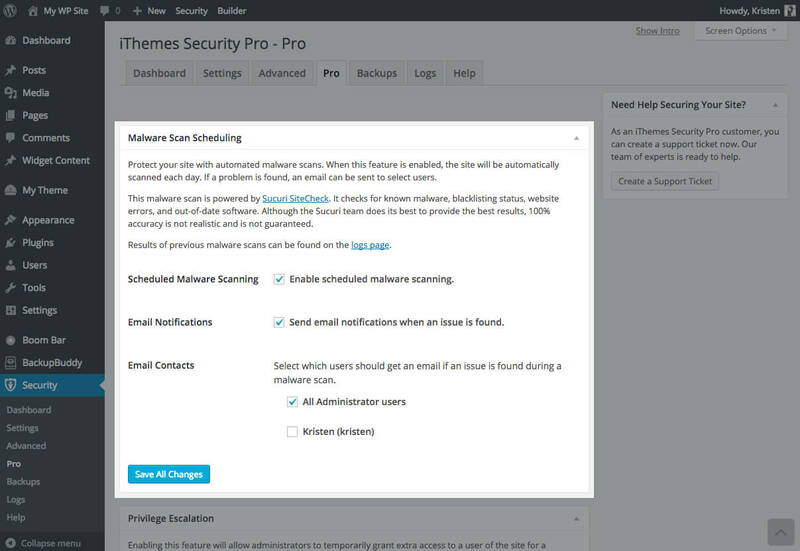 To activate scheduled malware scans and email notifications in iThemes Security Pro, visit the Pro tab. From here, you can enable malware scan scheduling and select users to receive an email if an issue is found during a malware scan.